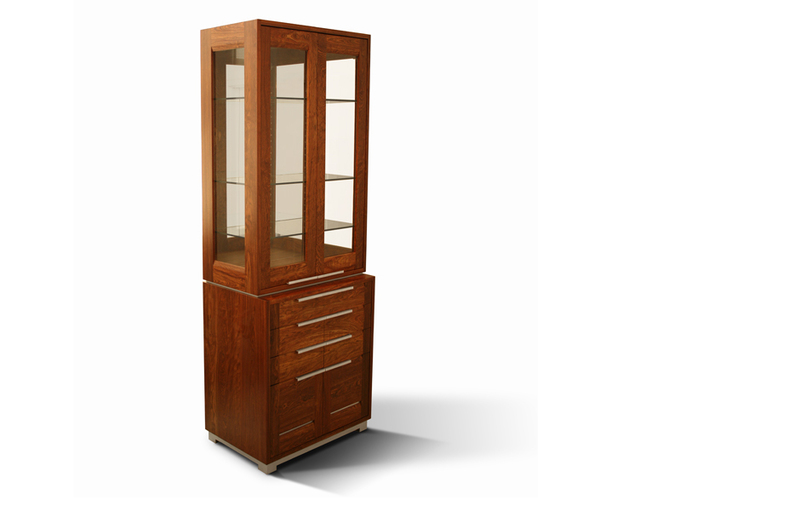 This cabinet offers open display above on adjustable glass shelves and closed storage below. There is a serving/drink-mixing pull-out at the middle. 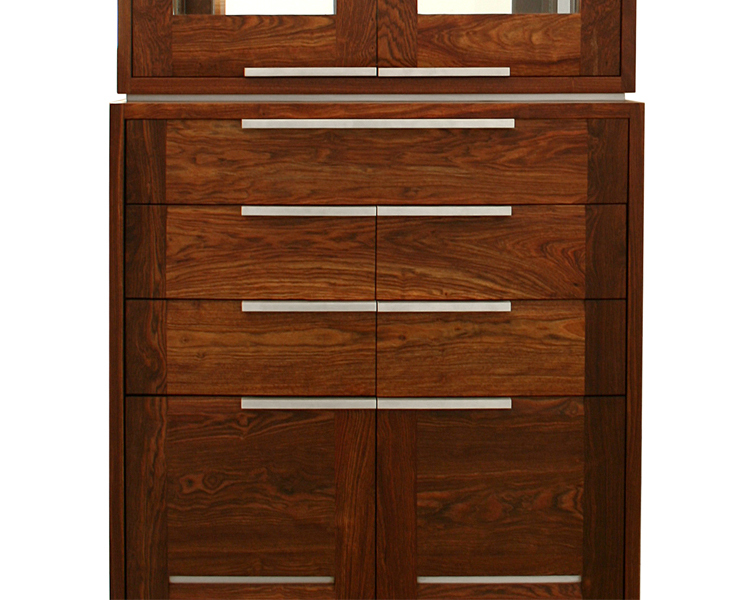 This piece is Made to Order, and so can be made in any size, in a variety of wood, metal or other material finishes. Lead Time for custom pieces varies from 6-12 weeks depending on workflow and complexity. Call us for current timing if you have constraints. The Price Range above gives a good estimate for many options. 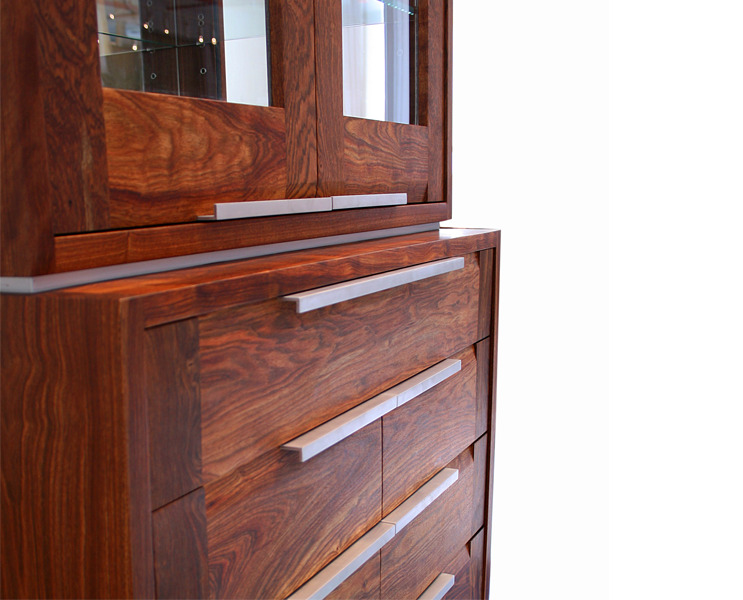 An actual price will vary by material, finish, and size.